Baby photography is a huge industry, with photographers specializing in capturing memorable photos of newborns. 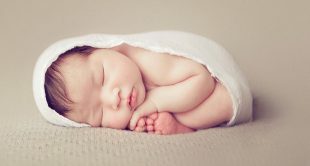 And while costuming is a huge part of that — especially for a legend like Anne Geddes, whose photos of children in outfits of creatures and fairytale characters has become the industry standard — it is possible to shoot beautiful photos of newborns on a budget, with safe, inexpensive household items as props. Kelly Brown loves to use different kinds of nests and other props to pose babies. She cautions, however, that sometimes they can be dangerous or otherwise uncomfortable for the baby. To line her nests and baskets, Kelly simply uses towels for foundational support. She covers them with attractive layers for different looks. For a limited time, watch Kelly Brown’s Newborn Posing to find more ways to capture your client’s memorable moments. With over a decade of experience under her belt, Ana Brandt has mastered important tricks of the newborn trade. One of her top tips? Carry your props, filler and other necessary items in the kinds of vessels which are also great for posing babies in. This way, you’ll bring less stuff to a shoot — and you’re also always sure to have something cute to shoot in. “Don’t use Tupperware containers…everything you’re going to bring has to be something you can use as a prop,” she recommends. 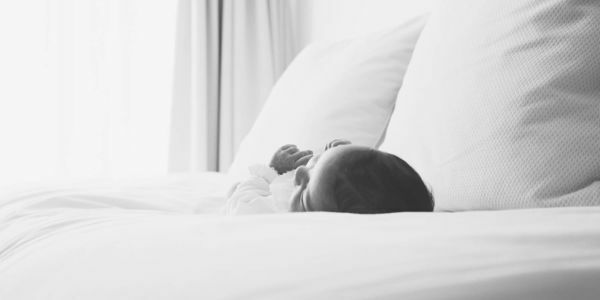 A soft, flat piece of everyday furniture can easily be transformed into a sturdy bed for baby, if you’ve also brought safe, clean cloth to drape over it. “I used the same ottoman from IKEA for, like, six years,” Ana says. The name of the game in newborn photography is ensuring that the subject is comfortable and safely propped up — which means almost any kind of padding, provided it’s clean and made of a safe material — can help achieve the right pose. Including, says Julia, the tubes of stuffed fabric which are often used to stop a draft from coming in under a door. Another great trick Julia has is using a cowl or infinity scarf, which she can just wrap right over any kind of padding. A circle of material helps create a smooth look for the lining of a basket or nest, but is also customizable, and easily swapped out for cleaning. Newborns are most calm when they’re warm, so Julia often hides a warm — but not hot — heating pad underneath the blanket or other surface she’s posing a newborn on. That way, the baby is kept warm without having to heat an entire studio or parents’ home, which can be expensive and make it difficult to work. To learn more about creating a safe environment for newborns as well as a how to guide on Newborn Posing, watch Baby Safety and Posing for Newborn Photographers with Kelly Brown.